Apple sold more wearables than any rival last quarter thanks to strong demand for the Apple Watch 3. According to the latest data from IDC, it’s the first time Apple outsold both Fitbit and Xiaomi. And it beat ’em by a huge margin. Fitbit and Xiaomi primarily make cheap fitness trackers, while Apple offers more expensive smartwatches, so for Apple to outsell them is an impressive feat. At the same time, users are demanding more from their wearables, and the Apple Watch is ideally placed to give it to them. The first Apple Watch debuted back in 2015. The company’s latest model, the Series 3, came out in last fall. It’s the first with optional 4G cellular-wireless networking built in. Previous models depended on iPhone connectivity. And new features are being added to already-existing models, like tracking of snowboarding and skiing activities. 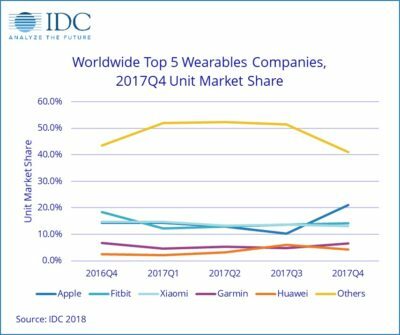 The 8.0 million units Apple shipped means it solidly outperformed all other wearable makers during the fourth quarter of 2017, according to IDC. That’s a huge 57.5 percent year-over-year increase. The closest competitors were Fitbit with 5.5 million units, and Xiaomi with 4.9 million. Both of these shipped fewer wearables than in Q4 2016. The Apple Watch generates revenue with more than just sales. 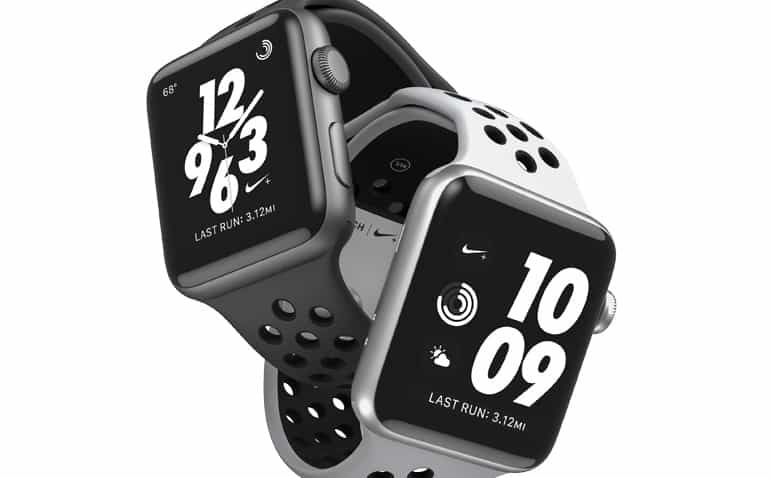 IDC analyst Jitesh Ubrani said, “Combined with the potential to sell added software and services, wearables are proving to be an increasingly lucrative market for brands and service providers.” Apple’s App Store for its watch started out strong in 2015, and now there are tens of thousands of apps to choose from.